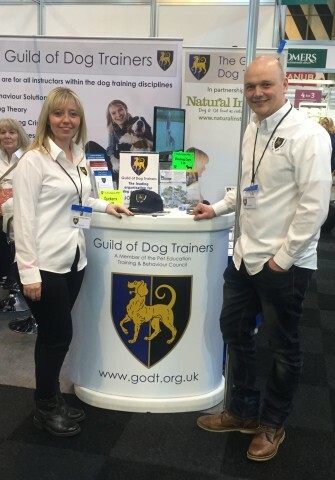 The Guild of Dog Trainers asked us both to represent them on their stand at Crufts 2016. We had a fantastic two days meeting lots of new people, sharing ideas and learning from some of the countries top trainers. As usual we come home with loads of goodies for the dogs. The reason we are members of The Guild of Dog Trainers is because they are an independent professional body recognised in the industry and they aim to increase public confidence in professional dog training practice. They regulate their members to ensure they meet the required standards, members are expected to have ‘high standards of knowledge and skills and to demonstrate good practice in dealing with clients, their dogs and the public’. After the weekend we have just had we are proud to be part of this organisation.